From August 2015, HU is leading an effort in cooperation with Aeolis Research and NASA’s Jet Propulsion Laboratory, California Institute of Technology (both in Pasadena, California) to better represent the formation of dust clouds above Mars’s planetary boundary layer in planetary-scale simulations of Mars’s atmosphere. This first paper to come out of this project was published by Icarus. It describes how observations by the Mars Orbiter Laser Altimeter (MOLA) can be used to observe fine structure in Martian clouds and provides a comprehensive reflectivity map (Figure 1a) based on synthesis of active sounding and passive radiometry by MOLA, inadvertently completing a secondary objective of the MOLA investigation. The dataset associated with this study is also available for download. 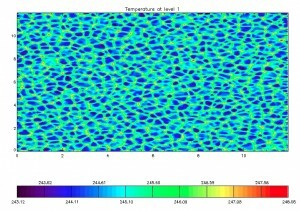 Figure 1: Reflectivity maps of Mars at 1064 nm. The map to the right corrects for potential bias in passive radiometry measurements by MOLA. Much work has taken place on the modeling side, and Dr. Heavens expects papers to be submitted during the summer and fall. Heavens, N.G. 2017b, The Reflectivity of Mars at 1064 nm: Derivation from Mars Orbiter Laser Altimeter Data and Application to Climatology and Meteorology, Icarus, 289, 1–21, doi: 10.1016/j.icarus.2017.01.032 (preprint).